In his welcome note, Dato’ Kevin Yong expressed satisfaction that all attendees arrived on time. “Every one always use Malaysian timing as an excuse to be late. To me, that’s disrespectful,” he emphasised. He also congratulated every guest for dressing smartly for the occasion. “Like punctuality, dressing well goes hand-in-hand with respect,” he said, before delving into the sharing session with gusto. In the next part of his speech, Dato’ Kevin emphasised that speaking more than one language puts you at an advantage over your competitors. He cited his daughter, Yong Mei Ling, as an example on how being multilingual helped her thrive. “She looks like a Caucasian. So when Mei Ling joined the company, some of the staff didn’t warm up to her at first even though they knew who she was. But when she spoke Mandarin, the 'barriers' between them came down. Why? The reasons are: a) she had an extra language that she used to her advantage and b) she wanted to communicate better with them,” he said. Dato' Kevin highlighted accountability as the key for making an impact in a second generation business. “For example, you will inherit employees from your parents' time. When they don’t deliver results, it is an easy way out to use your parents' hiring choice as an excuse. Your parents aren’t accountable for your own struggles, you are. When you admit this truth, you will take an action to solve the problem. There's no excuse to hide behind,” he says. 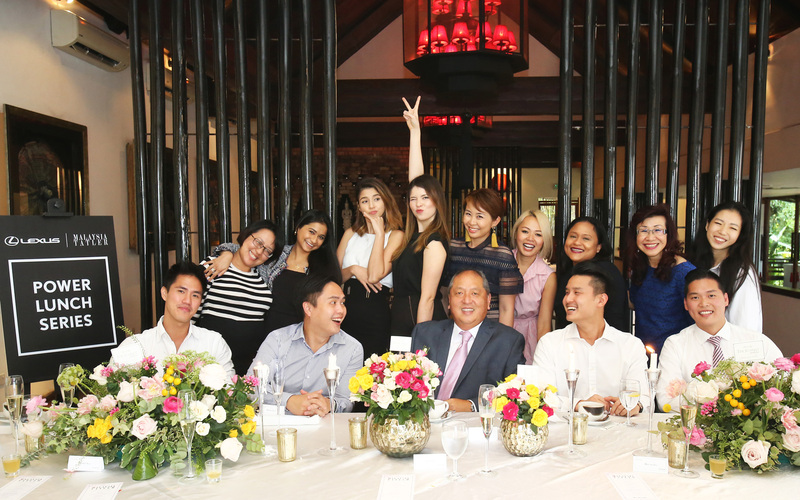 He then praised fellow guest Lyn Siew from The Oriental Group for her persistence in sticking around in her family business despite the challenges she faced in the male-dominated industry like F&B, such as dealing with temperamental chefs, among others. “She is brave because she chose to be accountable,” he opined. Dato’ Kevin then shared an interesting anecdote about Hong Kong billionaire Li Ka Shing. “One day, he accidentally dropped a two-dollar coin that rolled beneath his car and nearly went into a drain. He squatted down to get it back. A guard nearby saw him and helped him retrieve his coin. He kept the coin and gave the guard one hundred dollars as a reward. It's a story that showed the fundamentals of his success: there's a difference between spending and wasting money. You can spend the money if you want, but never waste it unneccessarily," he explained. There is a common saying amongst Asians that wealth do not go pass three generation because of the complexities of the inheritance during this stage. “A mountain cannot have two tigers. If everyone in your family business is a director and there is no clear direction on leadership, your employees won't know who to follow. That’s how in-fighting and power struggles happen. The discord within will make it easy for external 'wolves' bring down the company, ” he says. For Dato’ Kevin, reasserting accountability was the secret in ensuring harmony in his family-run bakery business. "I approached my father—who founded our business—to split the companies between my brothers and myself into smaller pieces to be accountable for. And since it was my idea, I took the smallest piece of the business so there is no misunderstanding that I am doing this for my own gain. I then had business to be accountable for," he reflected. Another good thing came out of the process: Dato' Kevin was able to 'trick' his mind into believing he is a first generation entrepreneur. "I never take anything for granted," he stressed. That being said, he also believes that if any second generation entrepreneur chooses to opt out of the business, it is the best thing for them as it gives them a chance to learn accountability. Mark Choo, youngest son of restaurateurs Fred Choo and Michele Kwok, chose to start his own online medical tech-based startup called TeleMe despite limited knowledge in the medical field. "I went through a steep learning curve on my own but it has helped shape my decision making skills," said Mark. It is normal for second generation business owners to face challenges assimilating into their family business at the beginning of their career. “It will take a minimum of five years for your employees to accept you as their leader. Put in the time, be humble, stick it out for the timeframe and you will see the difference. People will follow you once you earn their respect. There is no shortcut,” he said. 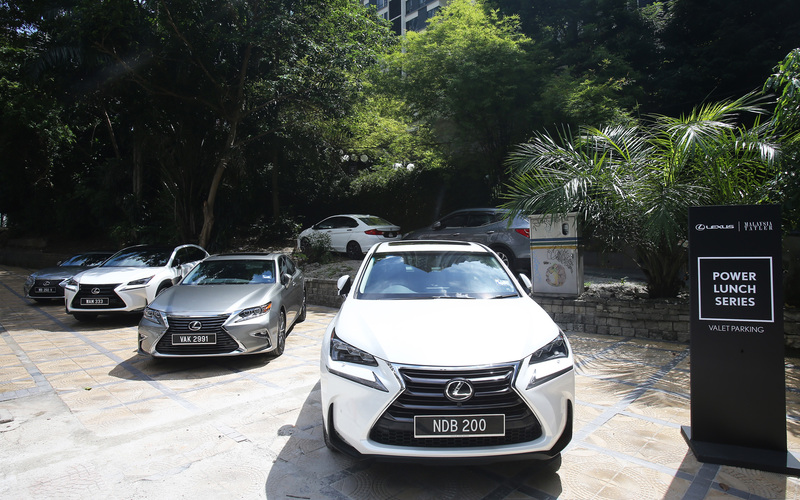 Comparison to your parents from internal and external parties is common as well, admits Marcus Teo, business development director of A Cut Above. "My mother is a beacon of our company to the outside world. Similarly, my father is much loved by our employees. Our senior hairstylists stayed with us for many years out of loyalty to him. My father always said our hairstylists are our customers so it is our job to keep them happy and fulfilled. As challenging as it can be, I am proud and grateful for having my parents' names to live up to," said Marcus. Like Marcus, fellow guest Brian Choo—Mark's older brother tasked with business development for the family's F&B restaurant business Soul Society—is aware of his parents' popularity and is used to being known as 'Fred's son' or 'Michele's boy'. "I take it as a positive motivation. You love and respect your parents so you naturally work harder to make them proud. Now that I am a father to a little girl named Riley, I am starting to understand their perspective. Now, my priorities are focused on doing things right for her," he revealed. 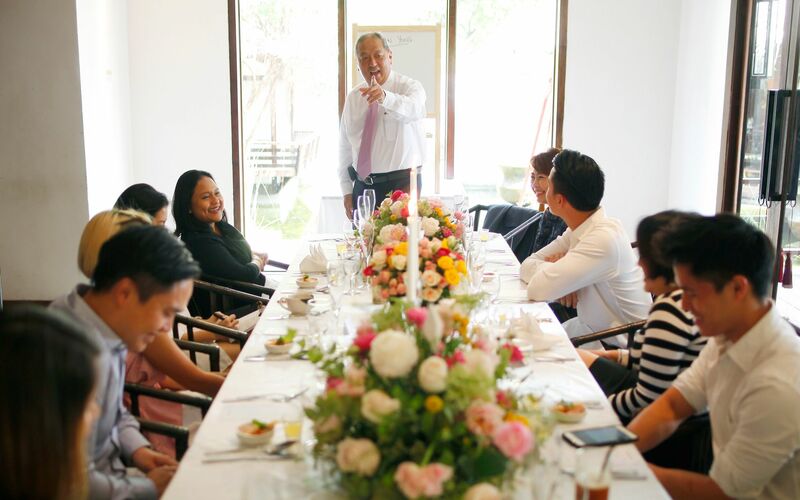 Dato' Kevin shared his belief that everyone sitting at the table should feel blessed everyday that they have strong foundations to build upon from their family businesses. "The global market is turning to South East Asia now. Yes, market conditions are tough but from my experience, a recession period is the best time to build your company into expansion phase. If your competitors throw prices around, stand your ground. Know that you are building something solid for the long term. After the recession, you will see the difference between a solid company and a wishy-washy one," he said. During a short sharing session after main course, Aslina Rahim, the youngest daughter of Rahim & Co's Tan Sri Abdul Rahim Abdul Rahman, expressed that she was initially hesitant to join the family business because she was enjoying her career in advertising. At the persuasion of her father and her siblings, she relented. "When I joined Rahim & Co, I wasn't sure what I could contribute. I noticed we did not have a company website, so I decided I would start from there and do what needs to be done, one step at a time. It made me realise an important lesson: you can only change things in a family business when you are inside the company," she said. To this, Marissa Habib of Habib Jewels expressed her agreement. This young gemologist chose her field of study out of her own free will; she stressed that her parents never asked it of her. She was based overseas for a long time but recently, she chose to come home to help steer her parents' company to a new era. "I asked people my age if they would buy jewellery at Habib and the common answer was a sheepish no. The feedback I collected made me realise that perception amongst youngsters is that the brand caters to an older crowd. From there, I knew what I could contribute. Today, I have ideas and plans to help and I am excited to fulfil this new purpose for my family's company," she said. During the sharing session, we also met Dato' Kevin Yong's youngest daughter, Yong Mei Fong, who works as a senior associate in a multinational finance company. Like Mark Choo, she chose to opt out of the family business. "I do corporate restructuring advisories and formal insolvency work, among other matters," she shared, revealing her ambitions of one day opening her own boutique finance firm. Indeed, here, Dato' Kevin interjected her daughter's story to deliver another lesson. "Teach yourself how to read financial reports. Don't avoid it because you think it is boring. Also, analyse your financial reports monthly, not quarterly. During analysis, be sharp. Spot anomalies and take action swiftly. At English Hotbreads, I monitor our stock intake diligently. If there's any discrepancy in the documents, find out why. You must the problem at the root before it gets worse," he said, admitting he is happy he has one daughter who is specialised in finance to help him, even if she isn't in the family business. For his final takeaway, Dato' Kevin rolled out a surprise public speaking 'test' for us; we are asked to introduce ourselves in a short speech, after which he offered constructive feedback for our 'performance'. Lim Ai San, founder of property development and office management services Coralfields Resources Sdn Bhd, was the 'guinea pig' to kickstart the session. She set the bar high for us, speaking eloquently about how she chose to start a new company with her husband Tan Shen Wain and her father Tan Sri Lim Huah Leong, exuding passion and conviction. Her speech was immediately praised by Dato' Kevin, who then emphasised that leadership goes back to clear communication. "True leadership lies in how you inspire confidence. I implore all of you to take special attention in signing up for a public speaking course or researching great orators to improve your public speaking. This will give a big boost in your success in your company as a leader," said Dato' Kevin, effectively wrapping up two hours of enrichment with a golden advice. 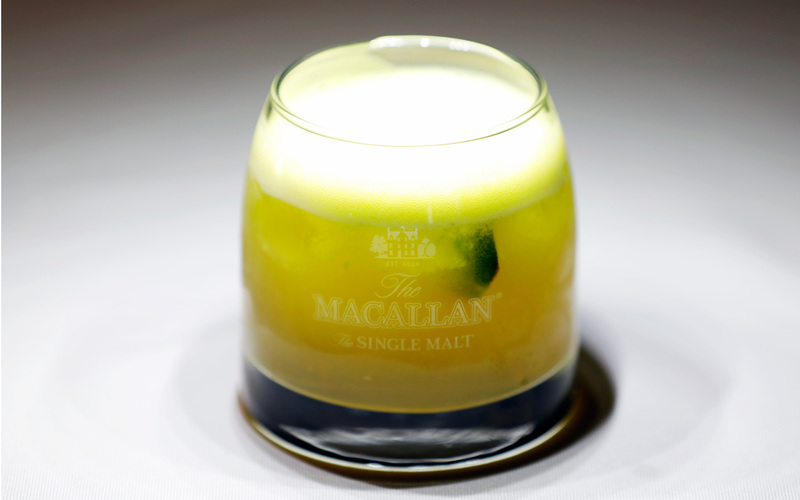 Guests enjoyed the animated discussion over lunch while sipping at these delectable cocktails, courtesy of The Macallan.